Home � Disney World Technology , Disney World Vacation Planning , Disney World Vacations , FastPass+ , Magic Band , MagicBand , MyMagic+ � Disney World MagicBands: Making Your Vacation Easier To Enjoy! 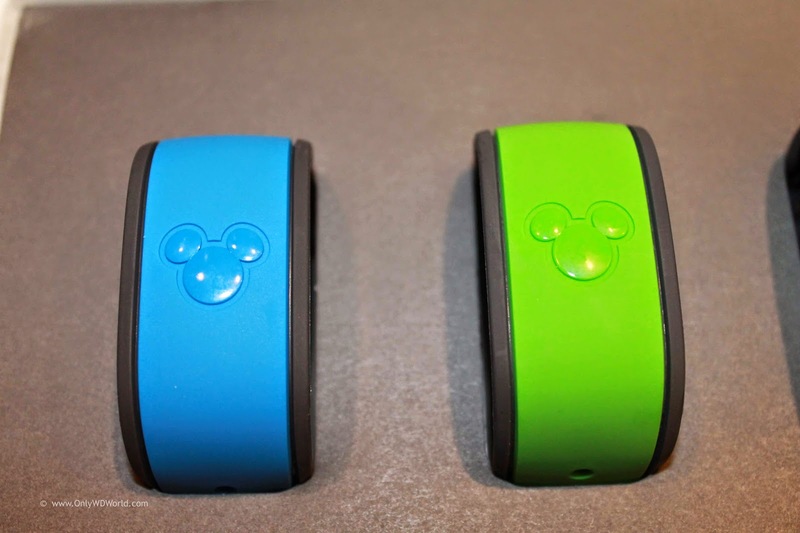 Disney World MagicBands: Making Your Vacation Easier To Enjoy! 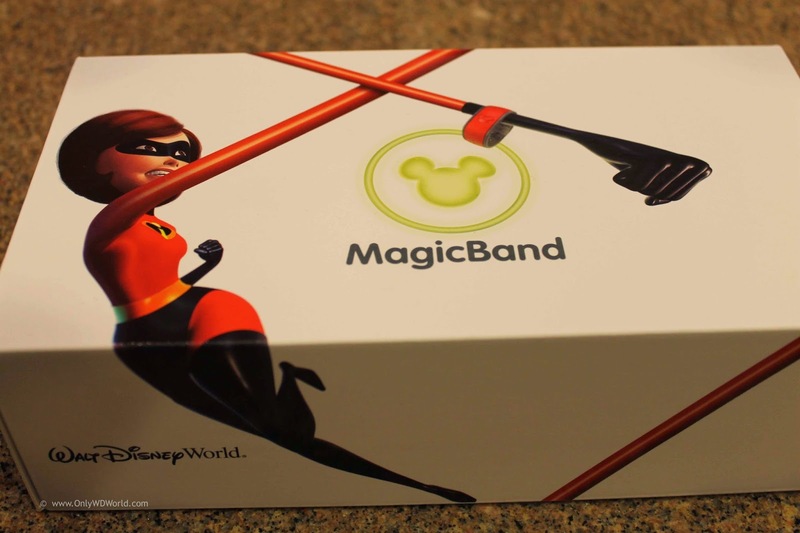 The future of theme park enjoyment is here and it's name is: MagicBand! Disney World has created a way to eliminate the need for keeping track of paper tickets, FastPass slips of paper, and even the need for carrying a wallet into the Disney theme parks by utilizing RFID technology and incorporating it into a fashionable, wearable tech solution. Disney has made a large investment in order to integrate more technology into their theme park operations with the focus on creating a more individualized experience for each guest and better understanding what guests want when they visit Disney World. 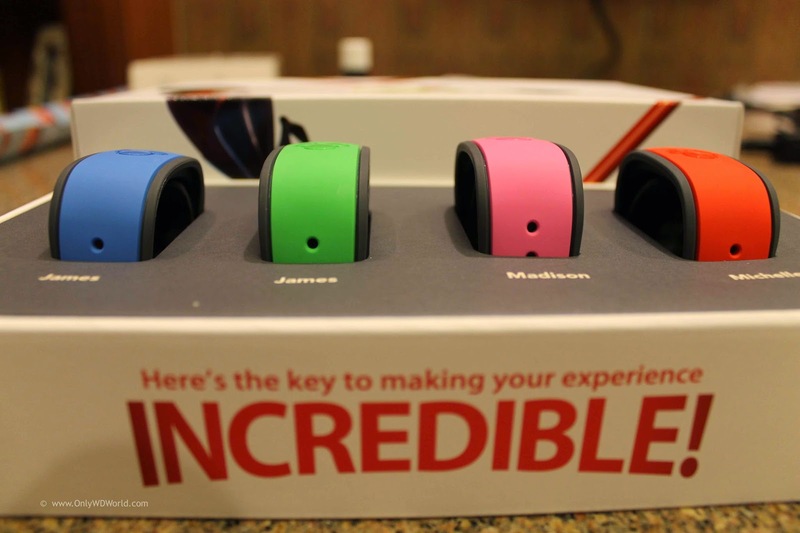 For the guests the most noticeable immediate result is the use of the MagicBands. 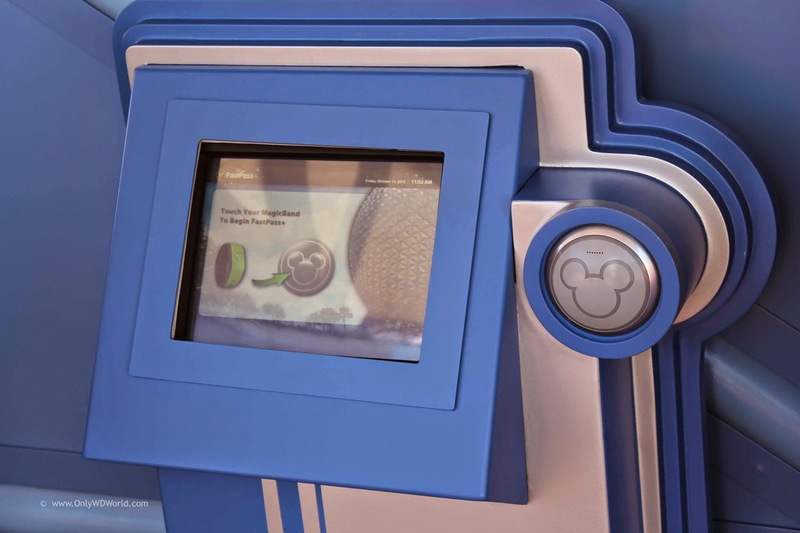 These devices are used to replace the need for separate: Room Keys, Park Tickets, FastPasses, and Credit Cards. Previously Disney World guests that had stayed on property had enjoyed having all of these options, except for the FastPasses, combined onto their Keys To The Kingdom Cards. The new technology takes away the problems of the cards becoming frequently demagnetized and enables the guests to mearly touch the MagicBand to the sensor that is called a touch point. The proof of any new technology is putting it to the test and actually getting a chance to use it under real conditions. 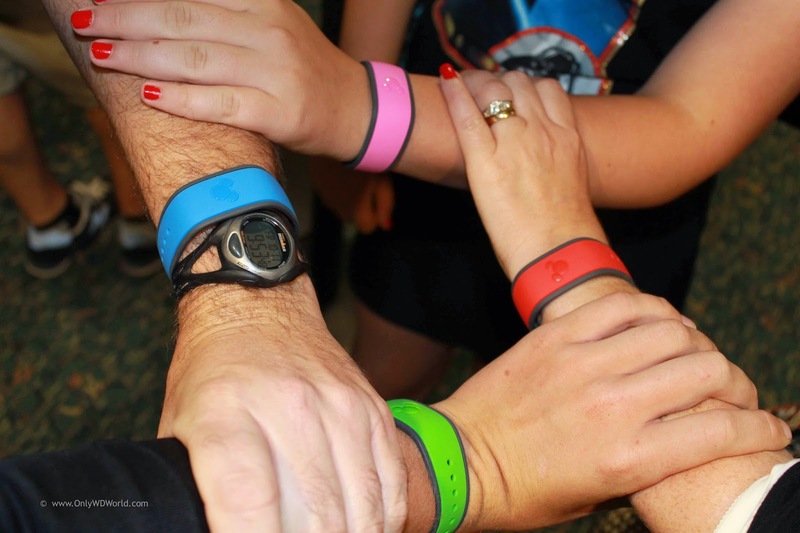 At Only WDWorld we had the opportunity to put the MagicBands through their paces and we were genuinely impressed with the results. Our use of the MagicBands started in the Orlando International Airport (MCO). As we approached the Disney's Magical Express area, we had one member of our party get their MagicBand scanned and our information was available and we were allowed to proceed to the waiting area for our bus. The Resort check-in process was quick and painless due to the on-line check-in and our MagicBands were scanned to verify that everything was in working order prior to our heading to the Disney World Theme Parks. Our purchasing permissions were also verified at this time and pins that were created for purchasing were confirmed. We proceeded to our hotel room and all you had to do was touch your Magic Band to the Mickey symbol on the door and it become unlocked. What a great convenience not to have to search for the room key, when it is right on your wrist! When we headed to the Theme Parks, the process to enter was just as smooth. The lines take some getting used to if you are familiar with the old system, but the new one actually is quicker. Once inside you enjoy the parks like normal. The new FastPass+ gives you a couple of different options for using the Disney FastPass+ system. If you are staying at a Disney Resort, you can reserve times for up to 3 attractions in a single park up to 60 days ahead of time. 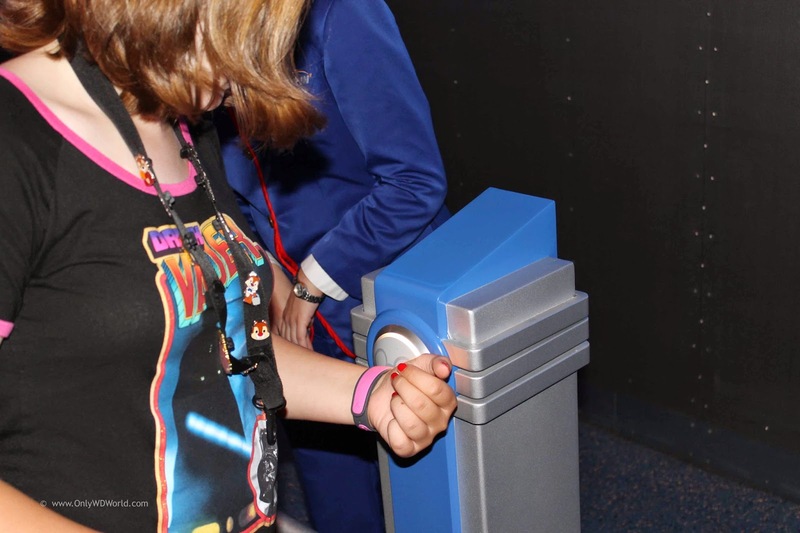 You also have the choice of using the FastPass+ kiosks that at located throughout the parks to either make initial selections of modify the selections that you chose ahead of time. The great part is that you do not need to manage little slips of paper. The information is linked to your MagicBand. When your window of time has arrived you just proceed to the FastPass+ line and touch your wrist to the Touch Point. One immediate difference that I noticed is that Disney Cast Members will address you by name more often now as your name is displayed to them when you use your MagicBand at a FastPass+ station or park entry. I liked the additional level of personal interaction. The pre-vacation experience for Disney World has gotten even better with the great packaging that accompanies the Magic Bands. The Incredibles themed packaging is awesome and is sure to make your family even more excited about their upcoming vacation. Like most people, we were a little skeptical when we first heard about the Magic Bands and weren't sure that we would like them, but after using them for several days, we have to admit that we really like them. 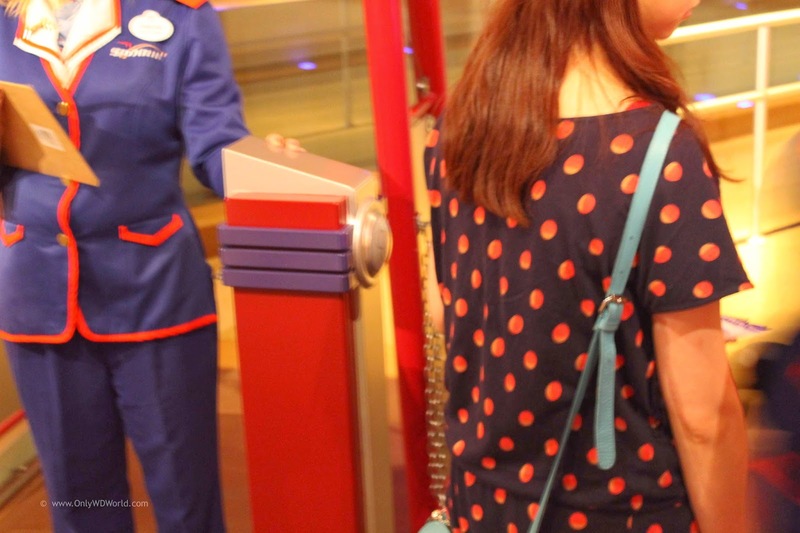 Eliminating the need to track room keys, tickets, FastPasses, and PhotoPasses was a big plus. Replacing them with a wearable device that was comfortable, stylish, and waterproof definitely made this an improvement. Being able to use them for purchasing made it convenient by not having to carry cash around the parks, especially when you ride attractions where you may get wet or have money get jostled out of pockets. We understand that this convenience comes with a cost as Disney will more closely track our behaviors, but hopefully this translates into an even better, more individualized vacation experience going forward. Note: If you are concerned about being tracked, you can request an RFID card in lieu of the Magic Band that only can respond to the Touch Point and cannot be read elsewhere on the Disney World Resort. 0 comments to "Disney World MagicBands: Making Your Vacation Easier To Enjoy!"